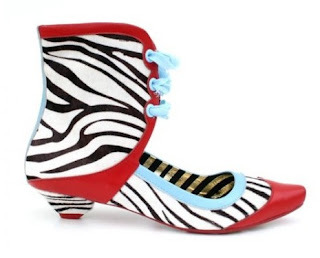 If you have never seen a shoe by Irregular Choice, you are in for a delightful surprise. 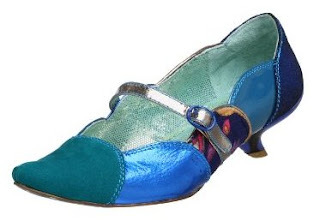 These shoes look as if they could have walked out of a fantasy film; they are just that whimsical. 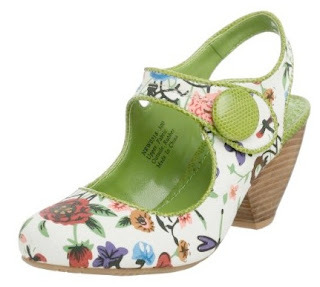 Mind you; these are not for the faint of heart, the conservative dresser who fears bold statements -- Irregular choice shoes demand attention. And they should get it, because they are fabulous. I love the vibrant plentiful colors, the use of uncommon fabrics, the scalloped edges, the cute odd prints, and the crazy cut-outs. Even the more 'tame' styles still share unique signature elements - like red soles printed with the Chinese lucky cat. I sadly do not own a pair myself, and simply admire them from afar; they are as so many other things, a bit out of my price range. 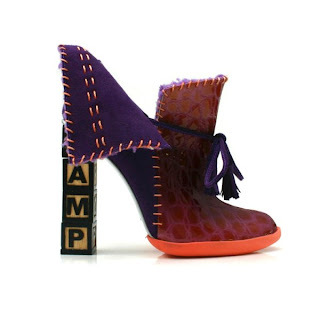 All is not lost -- a few other designers attempt to create shoes as inspired as Irregular Choice. While the selection is meager in comparison, they are out there, should you seek them.